I am in LOVE with this bundle! I can’t stop playing with it! See, there’s nothing not to love about the set, and on this card, I’m starting off simply! I went with 2 cardstock colours of Gorgeous Grape and Highland Heather and used the easy peasy dies to create the 2 layers. Yes, they’re designed that way! And not just the ‘big’ die either. The little ones all have layering possibilities too! I used mini glue dots and fine-tip glue to hold mine in place, but you could use the adhesive sheets too. Whatever works for you! 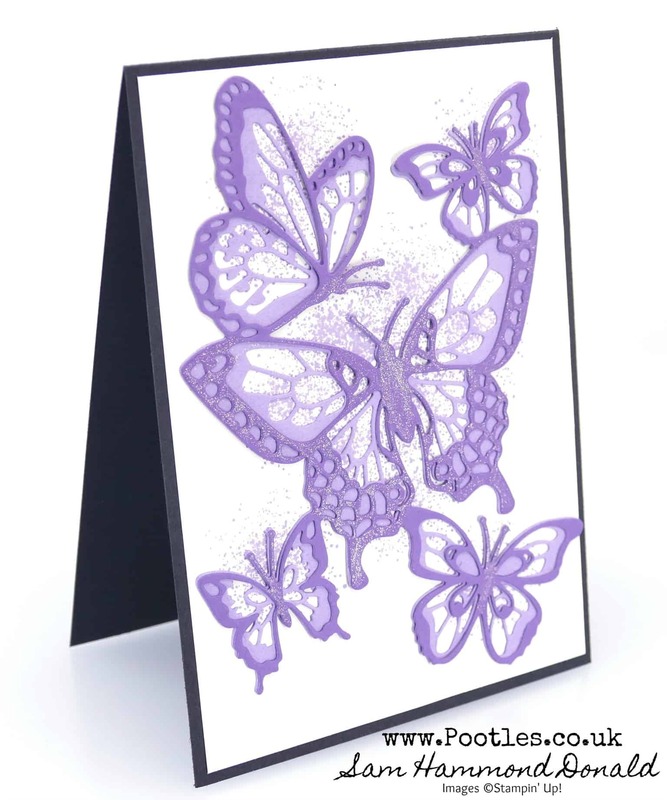 I’m not sure how well it’s showing up on the photos, but I went over the largest centre butterfly and the bodies of the rest, on the Gorgeous Grape, with wink of stella to give them a bit of extra dazzle and shine. I think it’s rather charming! 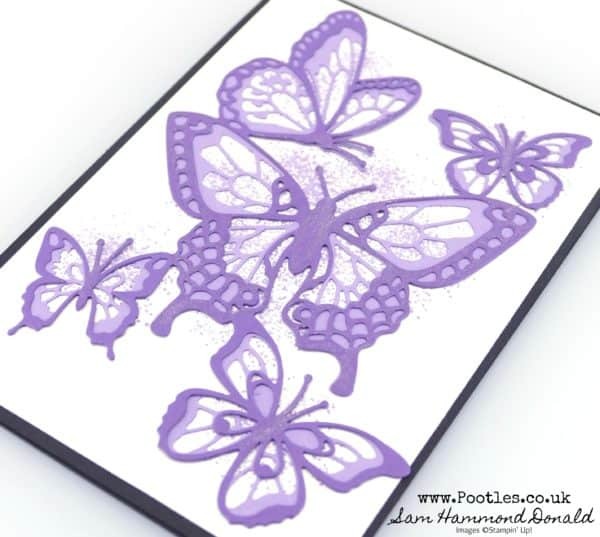 And then with little sprinkles of stamping behind each of them, with the stamp set included, but in the paler Highland Heather, this simple card is good for any and all occasions. Gorgeous card. I overlooked thi bundle because it didn’t seem to interest me…until today! Thanks again Sam. Beautiful card, love the sprinkles behind them and the hint of wink of stella.